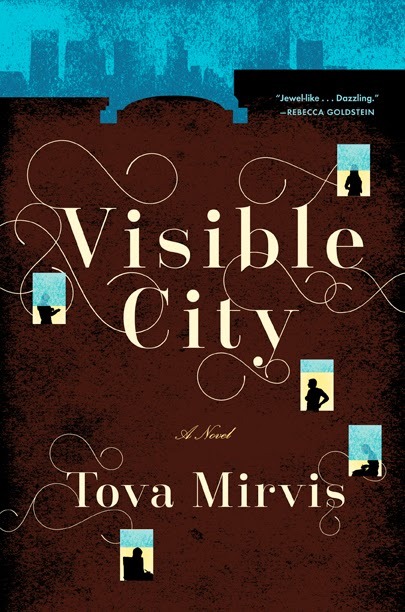 It's launch day for Tova Mirvis's new novel Visible City, published by Houghton Mifflin Harcourt. I'm happy to welcome her here today to talk about it, as well as a little bit about herself. An intimate and provocative novel about three couples whose paths intersect in their New York City neighborhood, forcing them all to weigh the comfort of stability against the costs of change. Tova, you've written for a lot of publications, and Visible City is your third novel. How long have you been writing, and how did you start? I’ve been writing since I was a kid, always making up stories and writing poems, but I started to write seriously in college. I wrote about eighty pages of what I thought would be a novel about the Jewish community in Memphis where I grew up, but then put that aside since I didn’t really know what I was doing yet. But that was when I fell in love with writing fiction. A few years later, I started a different novel about the Memphis Jewish community and that became my first novel. I’ve been writing ever since. What’s the story behind the title Visible City? I’m terrible with titles. They always come late in the writing process, so late that I’m convinced I will never think up a good title. For Visible City, I had another title I was using for a while but didn’t love it and always hoped something else would occur to me. Finally, I went actively looking for a title I liked better. I read through the manuscript underlining any phrase I thought might work. When I came to the words "Visible City," I felt like this captured some of the themes of my book. Very slowly. I usually start with a character or small scene that interests me and let the book grow from there. One piece of the book leads me to another piece. I don’t know where I’m going with a book until I get there, so I can’t really plot the whole thing out. It’s a nerve-wracking way to write, because I always worry that the different parts of the book won’t come together, but for me this is an unavoidable part of the writing process. I get to know them as I would another person--slowly over time. I often start with a few real-life models I hold in my head, almost like molds use to shape my characters and then begin to form them on my own. I spend a lot of time writing about the characters, separate from the actual novel itself. I think about them for years, trying to get closer and closer. There comes a point in the process when I feel like I can really see them and feel them. For me this is the most exhilarating part of writing fiction, that sense that you can really understand what it is to be another person. I enjoyed writing the characters who were the least like me. I also had a great time with the minor characters. It’s easier to feel free with them because less of the weight of the book rests on them. One of my minor characters was a man I referred to as dog man, and he was inspired by someone who lived in my sisters’ building. He liked to hang out in the lobby and monitor who came and went. He hung signs alerting residents to any rules they were breaking. I had fun with the idea of a character who appoints himself as an authority figure but the gratifying work of fiction is getting to think about what makes someone do this, what larger struggles are going on underneath. There’s always a deeper story to why people do what they do, and fiction is a place to lay that bare. Is Visible City based on real events? My book is fiction, but I made use of some real life events. One of the threads of the book is about a long lost stained glass window that one of my characters thinks is walled inside a New York apartment building. I did a lot of research about this stained glass artist and about the way famous works of art get lost. I also pulled from real-life events that took place in the Manhattan neighborhood I was writing about. While I was writing the book, there was a neighborhood battle about the huge amount of new construction, about whether the character of the neighborhood was changing, and that became part of the book. I read a New York Times article about a café that was tired of noisy kids and hung a sign asking them to use their “inside voices” and that also became part of the book. I think my favorite scene is when one of my characters, Jeremy, finally breaks out from his hated job as a corporate lawyer. He has been reading about urban explorers who sneak into sealed off spaces and decides to join them on an expedition to City Hall Station, a ghost subway station that is underground but no longer in use. He has this realization there that though he has felt so trapped in his life, he can still break out of his own constraints. I felt like so many of my characters, so many people for that matter, feel trapped in their lives, and I loved being able to write a scene when someone recognizes that new pathways are still open. I’m currently reading Jeffrey Eugenides’ The Marriage Plot, in paperback. His first book The Virgin Suicides was one of my favorite novels. I loved his use of the first person plural voice – the we voice – which was one of the inspirations for the communal narrator in my first novel. I try to be very disciplined about writing and know that if I wait for a quiet, free time, it will never come. I like to write first thing in the day, before my mind gets cluttered with other things. But with that said, I have three kids, so my writing time is very often interrupted. I have had to learn to write around and through the chaos. I hear you. Where’s home for you? I have lived outside of Boston for about ten years and moved here because my then-husband was from here. I’ve slowly come to like Boston, but don’t feel like it’s my real “home.” I grew up in Memphis, Tennessee and am a fifth generation Memphian. Though I haven’t lived there for many years, I feel like that is where I will always consider home. I love Boston! What would your dream office look like? My dream office would be any room with a door that I could close, and have complete silence. Also, maybe a room that is bare except for an empty oversized desk and maybe a big window. I write in coffee shops or libraries or at home when my kids are at school, so the notion of any space where I can’t be interrupted or distracted, or where I don’t feel the pull to do the dishes or pick up toys, feels like a wild fantasy to me. I’m working on a new novel, set it the suburb of Boston, where I live. After working on one book for so long, it's strange to be back at the beginning, in that unsure place where I’m not sure exactly where I’m going or how I’m going to get there. As I did with Visible City, I’ve started out with a few pieces that interest me, and trust that those will slowly lead me to others. I’ve learned to be cautious when saying what a book is about at the outset, because so much changes in the writing process. But at this point, I know that the novel is about religious passion (or the lack of it) and teenage angst and about a realtor who can’t sell a dilapidated house along the town lake, and about next-door neighbors who are feuding. I’m sure it will end up being about other things too, though I don’t yet know what those are. I hope you come back and tell us more when it's published. And thanks for being here today! Tova Mirvis is the author of three novels, Visible City, The Outside World and The Ladies Auxiliary which was a national bestseller. 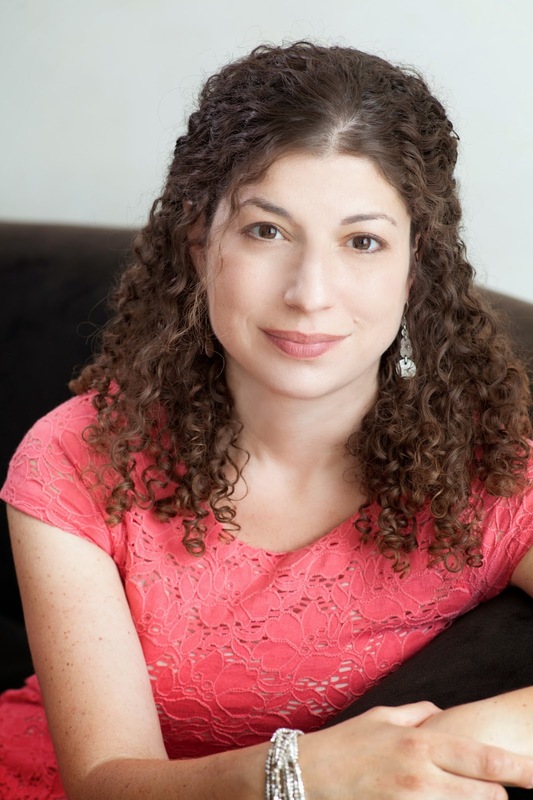 Her essays have appeared in many anthologies and in publications such as The New York Times, The Boston Globe Magazine, Poets and Writers, and Good Housekeeping, and her fiction has been broadcast on National Public Radio. She lives outside of Boston with her three children.